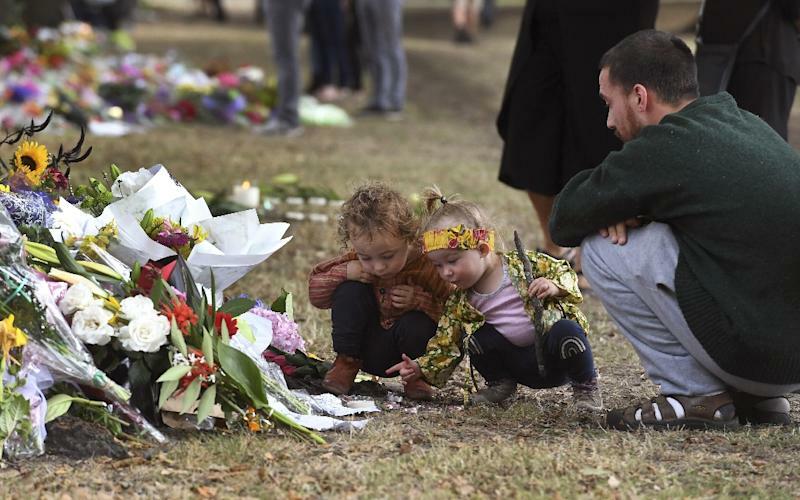 Christchurch (New Zealand) (AFP) - As Tipene Newbery laid a wreath outside Al Noor Mosque -- where dozens of worshippers were massacred by a white supremacist last Friday -- his children called out, "Don't cry daddy!" 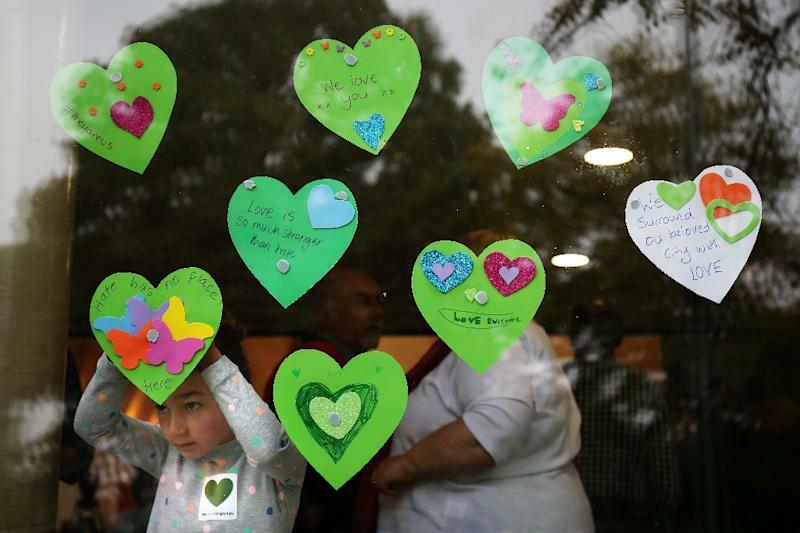 At memorial sites across Christchurch, children's heartfelt notes and drawings of young Muslims holding hands or hugging non-Muslims have been particularly poignant. "This is way worse than the earthquake as far as I'm concerned. Natural disasters are inevitable but this can be prevented," the 26-year-old told AFP at a memorial site outside Al Noor. "Even though there's a lot of hate inside me, I can't show that in front of them (his children). Just show that peace and love is the only way." 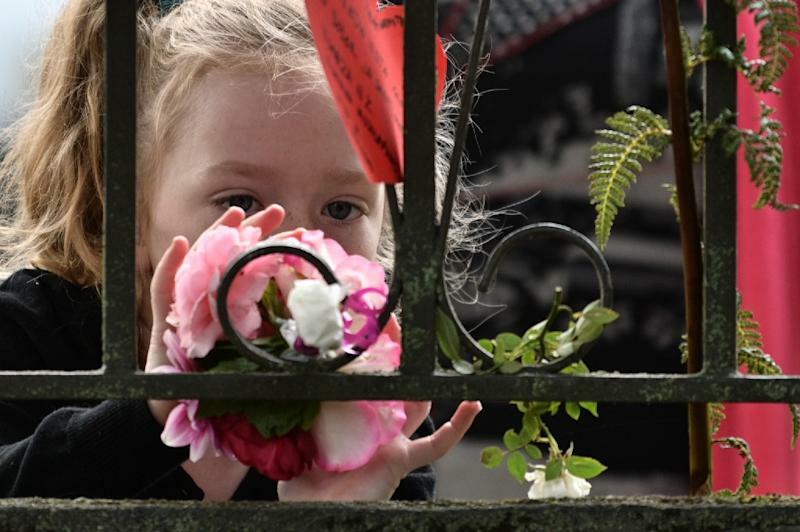 Saleha Hussain travelled from Auckland to support her friend's young daughters aged two and five after their father Suhail Shahid was killed in Al Noor. "We have a duty to make sure that we present a world that isn't torn apart," he told Radio New Zealand. Newbery admits his children's curiosity has been a big challenge, noting that "you don't have a choice with children, they ask the hardest questions". "I'm devastated but I'm trying not to show too much of that around them (the children)."